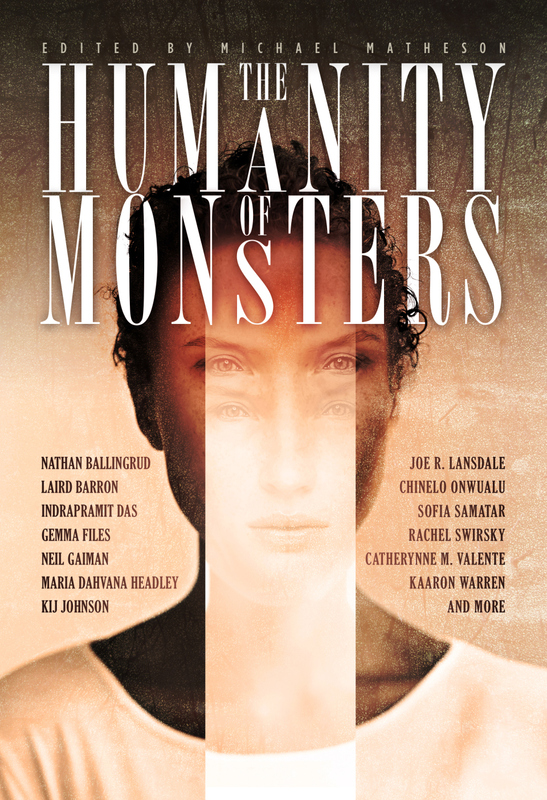 Here is the fantastic looking cover for the anthology The Humanity of Monsters, edited by Michael Matheson! This anthology includes stories by writers such as Sofia Samatar, Rachel Swirsky, Indrapramit Das, Peter Watts, Yoon Ha Lee, Joe R. Lansdale, and many others. Full ToC is in the link above. Thank you so much to editor Michael Matheson for including my story Boyfriend and Shark (first published in Coffinmouth by Paul Jessup) in the anthology. The anthology will be out in September 2015!